Punchy Pennsylvania punks Title Fight's last LP, Floral Green was issued last fall, so it's only fitting that the outfit are heading back out on tour once the leaves start to get autumn crisp. The month-long trip kicks off a little before the fall equinox, but it will be October by the time Title Fight hits up Toronto's Mod Club and Montreal's La Tulipe. 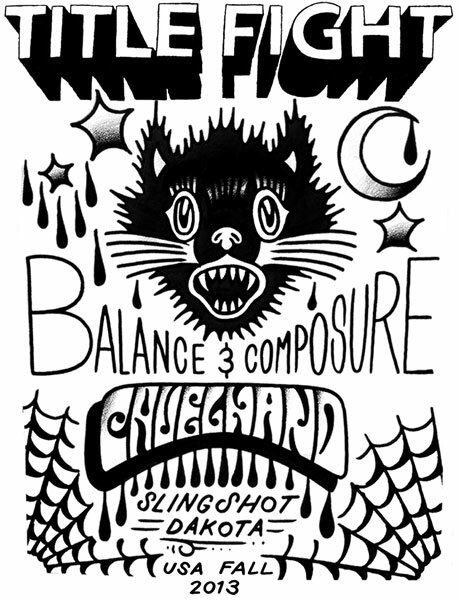 Joining the band on all dates will be Balance & Composure, Cruel Hand and Slingshot Dakota. You can see all the tour info down below. Title Fight "Your Pain Is Mine Now"